News briefs: New statin guidelines: do they apply to you? You're not alone if you're wondering whether you're affected by new guidelines about statins, the drugs that lower cholesterol and reduce the risk of heart and artery disease. 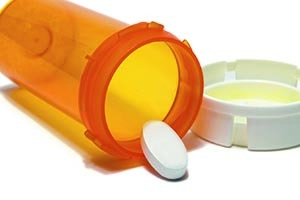 In November 2013, the American Heart Association and the American College of Cardiology released controversial new guidelines about who should take the drugs. As had previous guidelines, they advise doctors to prescribe statins for those with heart disease or very high LDL cholesterol (190 mg/dL or higher), as well as for middle-aged adults with type 2 diabetes. But for other seemingly healthy adults, the guidelines change. Statins now are recommended not based on a person's "bad" or LDL cholesterol level, but rather on a person's risk for heart disease and stroke. That's because people can have normal cholesterol levels but still be at increased risk, and because statins protect the heart by means other than lowering cholesterol. Statins are now advised for people with a heart disease or stroke risk of 7.5% in the next 10 years. The controversy stems from the way that risk is determined. Cardiologist Dr. Paul Ridker and epidemiologist Dr. Nancy Cook, both of Harvard Medical School, are concerned that the recommended calculator overestimates the risk for many people and could result in millions of unnecessary prescriptions with potentially side harmful effects. What should you do if you're concerned? Remember that treatment must be individualized. "These are guidelines and, like all advice, should be appreciated but also questioned. Ask your doctor if they apply to you," says Dr. Andrew Eisenhauer, a cardiologist and associate professor at Harvard Medical School. How does my health compare with President Trump’s?